Carlton Ware World organizes meetings in the warmer months here in the UK. So far, for 2018, we have arranged events in the following locations. 16th - 17th June 2018. We visit two Carlton Ware enthusiasts over the weekend to view their collections. Firstly, Mike and Carole on Saturday 16th June in Henfield , West Sussex. Secondly, on Sunday 17th June we visit Mike and Babs in Heathfield, East Sussex. We have not seen their collections for some time, so it will be a treat to view them again and to see their recent additions. On both days, our hosts provide a light lunch light for a modest cost of £10 per person per day. This contribution helps us with our administrative and website costs. We ask you to pay in advance and the amount is non refundable, except in exceptional circumstances. 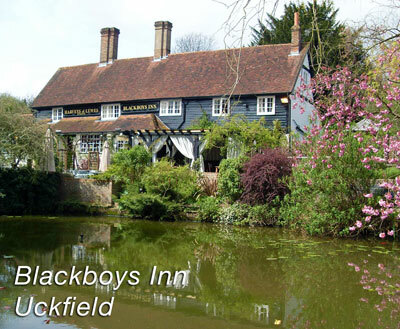 For the Saturday evening, I have reserved a number of places for dinner at Blackboys Inn, Lewes Rd, Blackboys, Uckfield TN22 5LG. We meet there at 7:00 pm for 7:30. Let me know if would like	to join us and I will book a place for you. This charming Inn has 5 bedrooms, I have reserved all five, 2 of these 5 are already taken, therefore if you wish to reserve a room, let me know as soon as possible. As usual, the cost of dinner and accommodation will be your responsibility. To make an enquiry, or to let me know that you would like to join us, send me a message by using the simple, easy-fill form below. Harvey Pettit © Copyright 2018. All rights reserved.